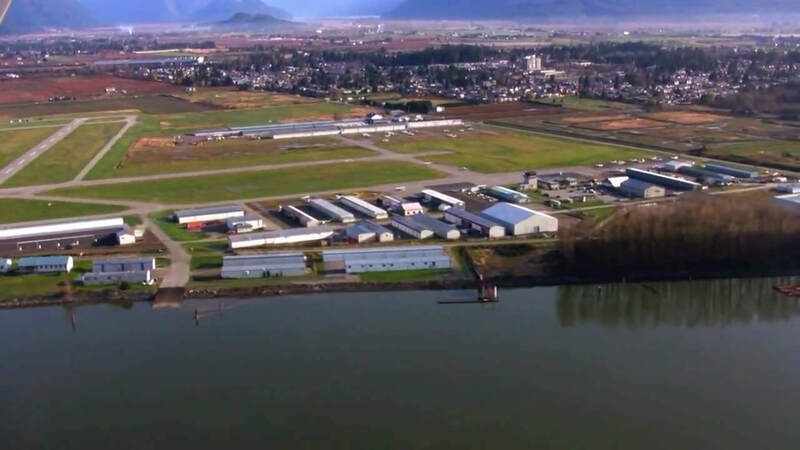 The BCGA is proud to be partnering with the Pitt Meadows Regional Airport and the Aero Club of BC (COPA Flight #16) in organizing and hosting the 2018 Pitt Meadows Airport Day. What makes this event so special is that it is actually two events in one. 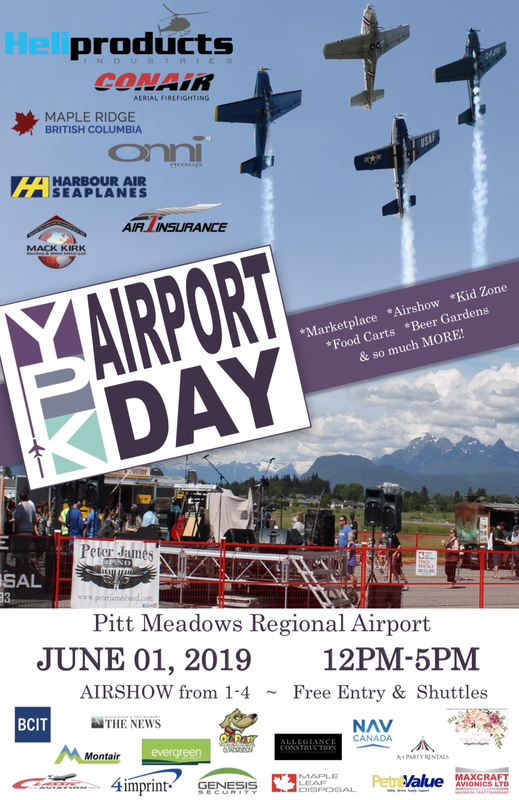 The Airport Day portion if this event is hosted by the Pitt Meadows Airport Society in conjunction with Pitt Meadows Day. It coincides with the Pitt Meadows Community day and will begin after a parade in downtown Pitt Meadows at 1pm. 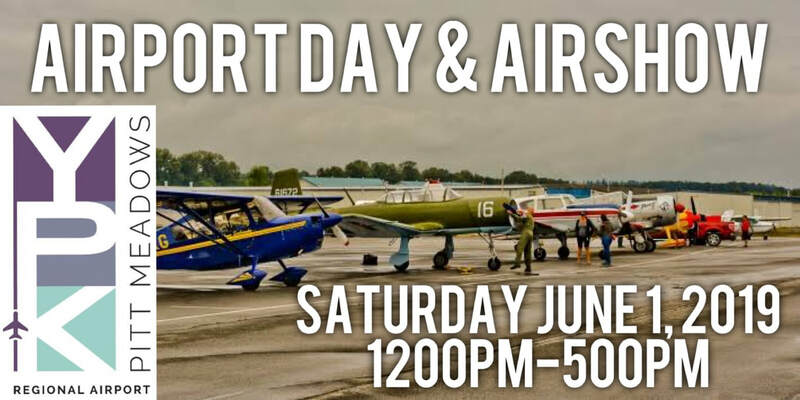 The Airport Day will feature, local businesses, food trucks, artisan vendors, kid zone, aircraft on static display and give the public an opportunity to see how the airport is a valuable part of the community. This year's YPK Airport day will also feature an airshow! The airshow component of the day will run from 1pm - 4pm and will include local performers including the Fraser Blues, STOL Demo, Canadian Forces Search & Rescue and will be headlined by BC Aerobatic performer Anna Serbinenko! During the airshow portion for the day the YPK Airspace will be closed to all arrivals, departures and overflights. Aircraft that are flying into the the event will need to arrive no later than 1130am and will need to stay until at least 530pm due to airshow airspace closure. We are looking for aircraft to be placed on static display to expose the public to a wide cross section of general aviation aircraft. There will be space for 25-30 aircraft to be placed on static display for the public to view up close. Static display aircraft must arrive prior to 1100 and will not be able to leave until to 1800 because there will be members of the public and perimeter fencing around the event. We would like to get a variety of aircraft involved in the static display. If you are interested in placing your aircraft on static display please fill out the Static Display Request Form. We will go over all the request forms and get back to you 30 days prior to the event. Events like this cannot run without volunteers. If you are interested in volunteering please fill out the form below. All volunteers are asked to be available from 0830 - 1730 on June 1st. Volunteer jobs include, set-up, security, aircraft marshalling, crowd control, as well as other jobs that will make the day go smoothly. Preference will go to those volunteers that have an AVOP or Pilot license that enables them to operate a vehicle airside if needed. That said, if you don't have an AVOP or license and are interested in helping please fill out the form anyway. We thank you for volunteering and will get back to you 30days prior to the event once we have a better idea as to the number volunteers that will be required.